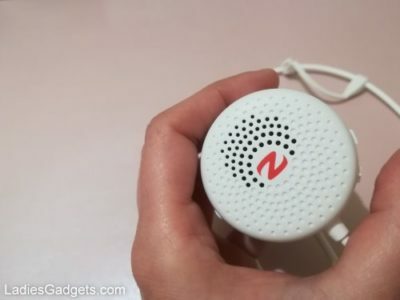 The Zulu Alpha Wearable Bluetooth Speakers come in full white or full black. I received the white version. 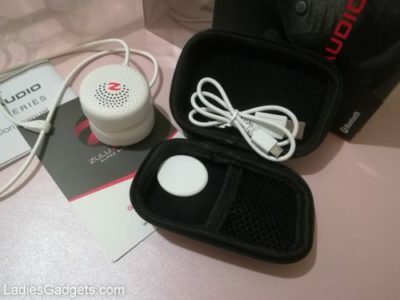 In the box there is the pair of speakers with magnets; a hard travel pouch; a spare magnet; a charging cable; the instruction manual and a getting started guide. 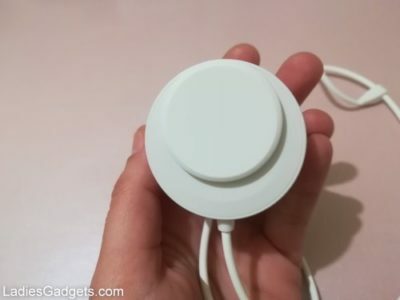 The magnets are round and thin, with a very soft finish. I also love the pouch since it’s hard, durable and small. The round speakers are small, lightweight, made from durable plastic and have a rubber-like finish. 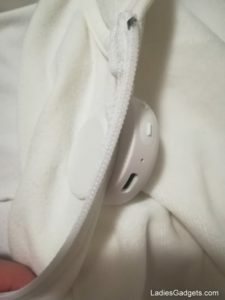 They are connected through a cable with adjustable length, for any neck size or for when you want to keep them lower at your chest. 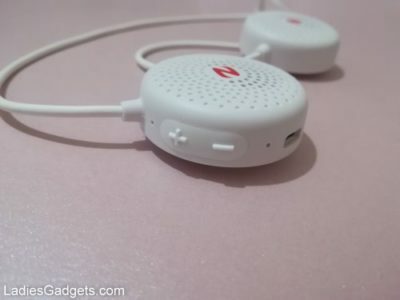 On the left speaker you have quick access to the volume adjustment buttons and the power button, each sharing several functions for music and call control, including voice dial. They pair quickly, attach quickly and the sound is clear and loud enough. 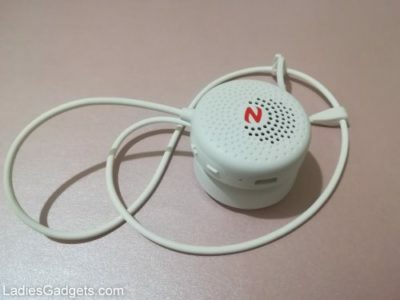 The feeling is like using something in between traditional portable speakers and wired earphones. 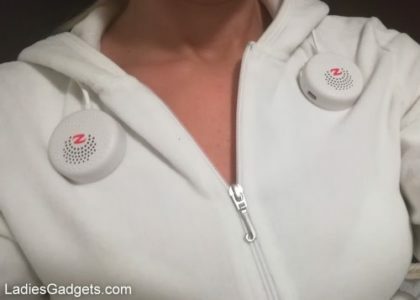 I like the idea of wearing your own speakers without disturbing others around. They are loud but you can lower the volume at any time. I use Zulu while working at the computer, making jewelry, washing dishes, and moving things around for cleaning, while my phone stays on the desk, charging. I also use them while playing mobile games, learning languages with my favorite mobile app and watch documentaries. 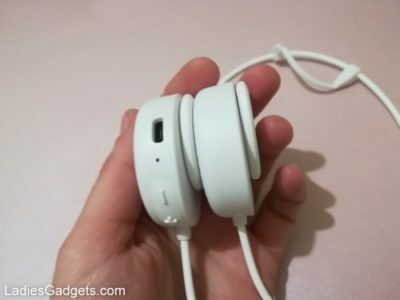 Thanks to the Bluetooth technology I can safely watch tutorials on Youtube without seeing my phone get smashed on the floor after my cats’ legs got tangled in my old earphones’ wires. Another great thing is that you can wear Zulus even while taking a nap. I sleep on my stomach and don’t even feel the two speakers on me. This is great for those who fall asleep while listening to relaxing music. 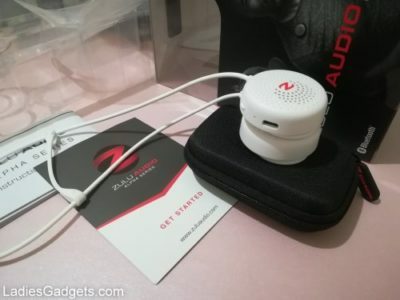 You don’t have to worry about the battery since Zulus turn off automatically after 2 minutes after you disconnect them/turn off Bluetooth. As for the hygiene, you can clean the magnets, that touch your skin, with some rubbing alcohol before borrowing them to a friend. Cleaning traditional earphones is complicated since they have those tiny holes. 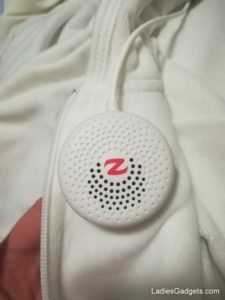 The magnets are powerful so they don’t move from the place you clip them on but you can easily drag/rotate the speakers on the shirt for repositioning. I like that they don’t leave wrinkles on clothes and don’t hang. 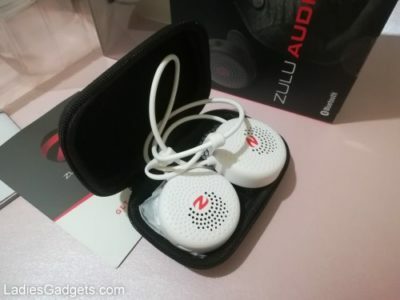 Zulu Alpha Wearable Bluetooth Speakers are available at Zulu Audio for $99.99. That’s all I wanted to tell you about Zulus for now and if you want to discover even more ideas of what you can do with them, take an eye at the video presentation at Zulu Special and grab your pair for a super special discount! 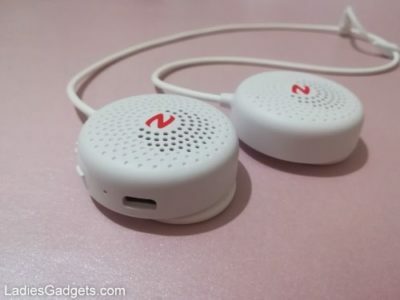 No Replies to "Hands-on Review: Zulu Alpha Wearable Bluetooth Speakers."